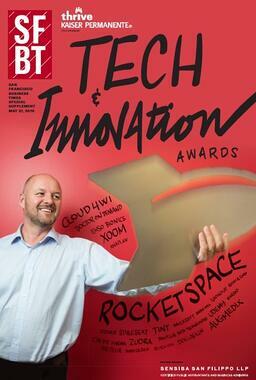 Joining RocketSpace alumni like Uber, Practice Fusion and Augmedix, we’re excited that RocketSpace has been named a San Francisco Business Times’ 2016 Tech & Innovation Awards winner. The Business Times received more than 300 nominations for the award and the 25 winners were selected by a panel of judges made up of past Tech & Innovation award winners, leaders in Bay Area technology innovation and San Francisco Business Times’ editorial team. Judges looked for companies that were revolutionizing their space, experiencing significant growth as well as how well they stand out against companies in the same space. 2016 winners represent categories including accelerators/incubators, advertising tech, enterprise app/service, cyber security, fintech, hardware, health/fitness app/service, mobile app, startup and education tech. Here’s the list of winners. "Our region is renowned as a hub for innovation and as an ecosystem that fosters growth companies, said Mary Huss, Publisher of the San Francisco Business Times. RocketSpace, along with all of the Tech & Innovation award winners deserve special recognition because they fuel our regional economy." Congrats to fellow award winners! We look forward to seeing you all at the awards gala tonight and in the Business Times' special edition on May 27.